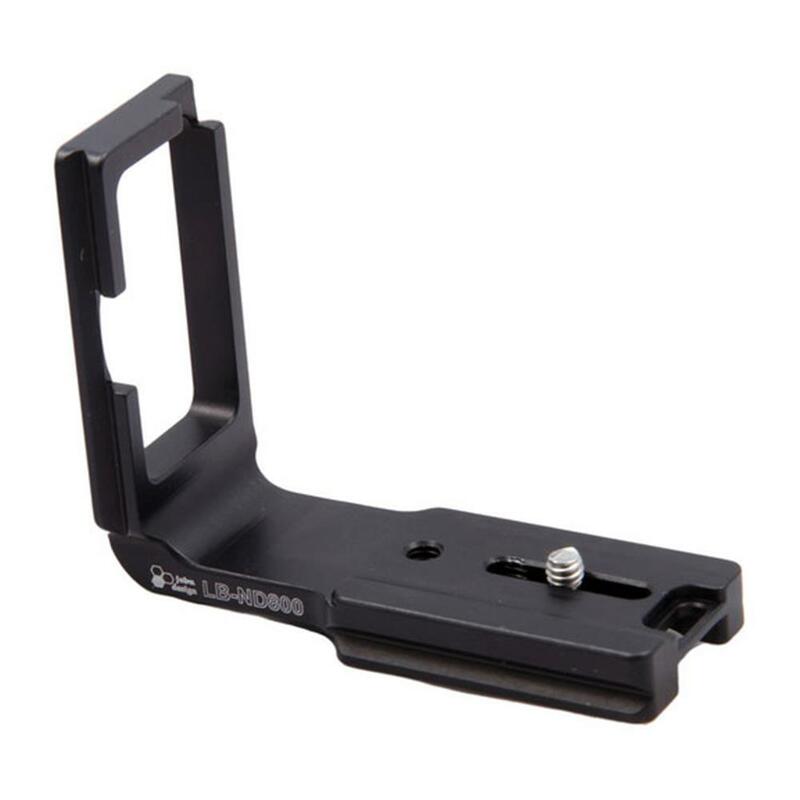 The Nikon D800 L bracket is a custom fit, Arca-Swiss compatible design that allows the popular D800 to be mounted in either portrait or landscape mode on your ballhead. Provides protection from drops, dings and the daily abuse that photographers demand of their equipment. Machined from a solid (not bent) piece of 6061-T6 aircraft aluminum. Custom fit to the Nikon D800 body to allow use of all switches, rubber covers and the LCD-screen protector. Sliding design allows the vertical part to move out of the way to allow cables to be plugged into the camera while in portrait mode. Tumble-deburred and hard-black anodized finish for long-term wear. Includes: 5/32" Allen wrench and 1/4"-20 mounting screw.